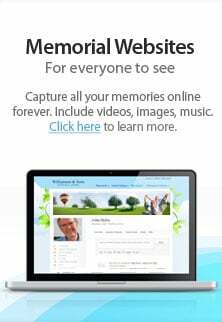 Fremont Memorial Chapel Funeral Home provides Funerals and Cremation Services in the Hayward CA area. The Chapel is owned and operated by the Rose family, one of two facilities we run in Fremont CA. We offer a full spectrum of funeral and cremation services. Our wonderful staff members at Fremont Memorial Chapel will guide your family in creating a meaningful ceremony to honor the life and memory of a loved one. A funeral ceremony can be anything you wish it to be: simple or elaborate, traditional or unique. Whatever the style, a ceremony is an important step in recovering from loss. We are honored to assist you and your loved ones in your time of need. From Traditional Catholic funeral services to Indian funeral services we serve all denominations. We respect the traditions of all cultures and religions in our community. Honor guard services may be arranged for Veterans who have been honorably discharged. We also provide funeral shipping services. We offer complete door to door repatriation options, returning the deceased to the country of origin, giving the family peace of mind that all details are taken care of and to make sure your personal desires are known and honored. We pride ourselves in providing the funeral service that meets your needs and desires. Our funeral home provides a full range of funeral service options, from the traditional funeral service (i.e. viewing followed by burial) to immediate cremation service and combination thereof. Our compassionate and caring Funeral Directors will make every effort to accommodate you at this very difficult time. Passing in an institution - When the death occurs at a hospital or nursing home, the medical staff should take care of all necessary legal steps. You just need to notify the medical staff that Fremont Memorial Chapel Funeral Home is handling the funeral arrangements so they can have you sign the necessary release paperwork. Anticipated passing at home - Today, more people with terminal illnesses are electing to die at home under the care of hospice. In this situation, you just need to notify Hospice that Fremont Memorial Chapel Funeral Home is the funeral home of your choice. Unanticipated death at home or elsewhere - In these situations, immediately call 911. The police and emergency medical personnel will then determine the appropriate steps to be taken. Often, the police can release the human remains directly to our funeral home. In certain cases, the body may need to go to the Medical Examiner's office so that they can determine the cause of death. Death out of the Hayward CA area or CA state - If the death occurs outside of the San Jose area or California, you should call Fremont Memorial Chapel Funeral Home at (510) 793-8900. We can coordinate with a local funeral director at the place of death. At Fremont Memorial Chapel Funeral Home, we provide a quality, dignified and compassionate service at an affordable cost. We understand that the emotional and financial burdens can be overwhelming, and our goal is to alleviate as much stress as possible during this difficult time.